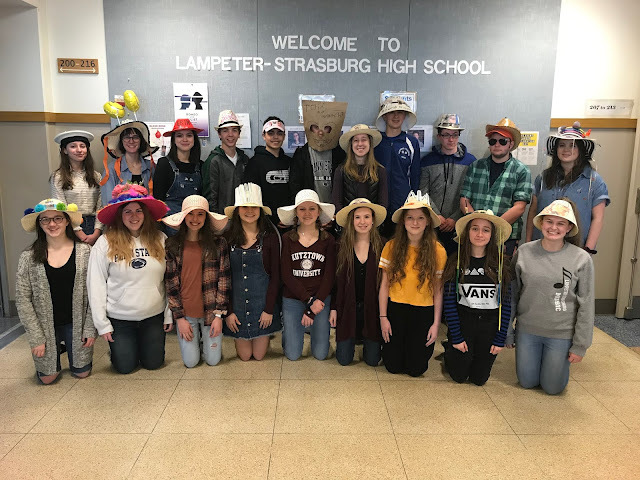 While the high school was waging its annual "Clash of the Classes" on the eve of Memorial Day weekend, another group had ambitious plans to across the Canadian border. 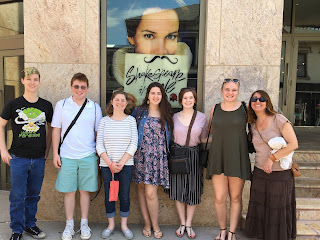 Lead by AP English teacher Mr. Cal Esh and accompanied by fellow English teacher Ms. Susan Fetterolf, the Shakespeare Club, left Friday, May 27 bound for Stratford, Ontario for the Avon Theater to see Shakespeare in Love and Macbeth. 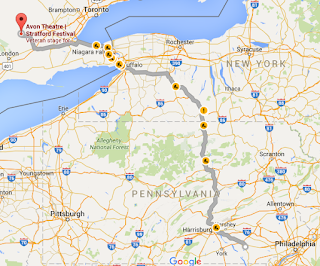 Mr. Esh, Joey Shiffer, Alyssa Van Lenten, Emily Bishop, Rowyn Nallo, Emilia Heiss, and Christian Nitchie are up early after stopping over at a cabin in Northern Pa en route to Stratford, Ontario. Christian Nitchie, Joey Shiffer, Alyssa Van Lenten, Rowyn Nallo, Emily Bishop, Emilia Heiss and Ms. Fetterolf eagerly await a matinee performance of Shakespeare in Love at the Avon Theater in Stratford, Ontario. Emilia Heiss, Emily Bishop, Joey Shiffer, Mr. Esh, Christian Nitchie, and Alyssa Van Lenten pause for a picture while they wait for the curtain to rise on Macbeth at the Festival Theater in Stratford, Ontario. 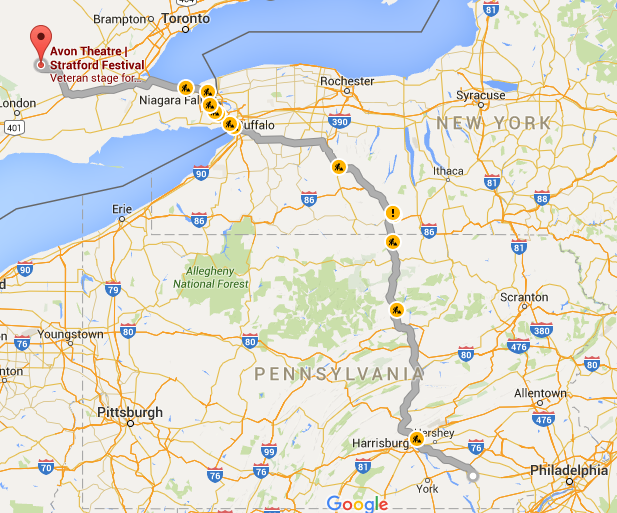 Driving to the Avon Theatre is no day trip.